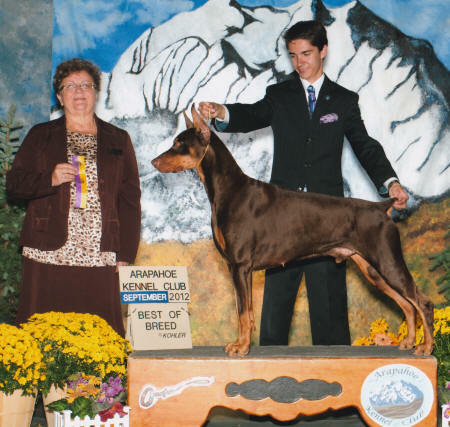 Noah at 7 years 8 months young, with limited showing competing from Best of Breed competition, accomplished the “NEW” Bronze Level Grand Championship with 9 major wins, and to date 110 points. 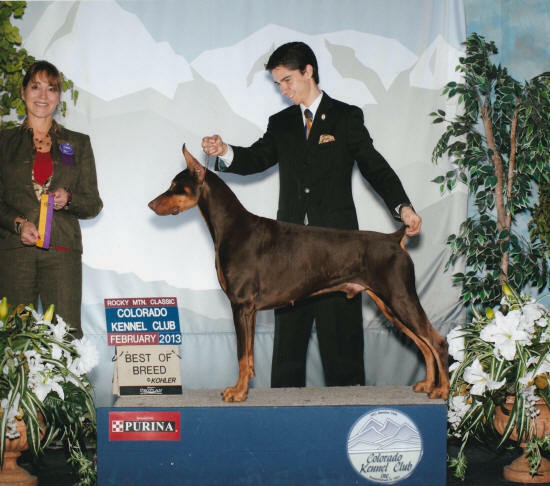 Per AKC statistics the ranking shows Noah as the #1 Doberman for Colorado YTD 2014!!! 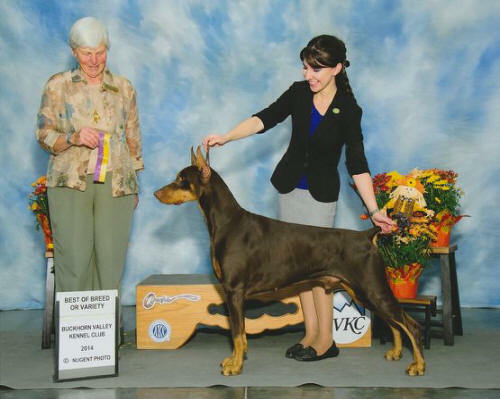 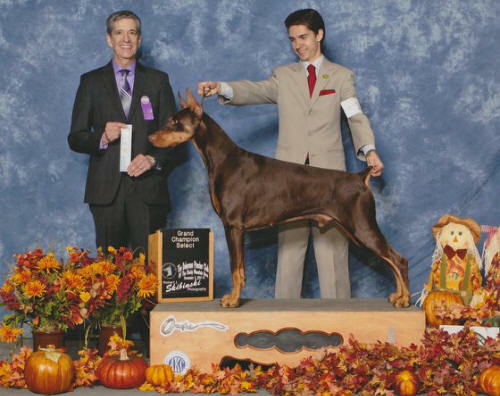 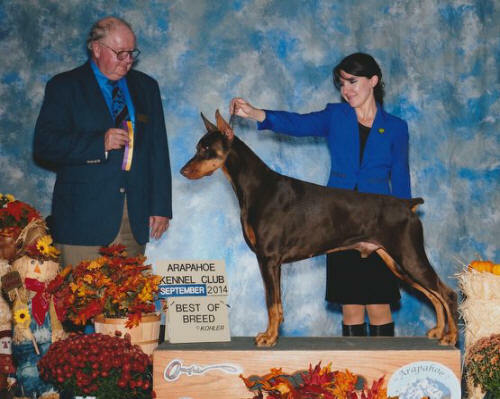 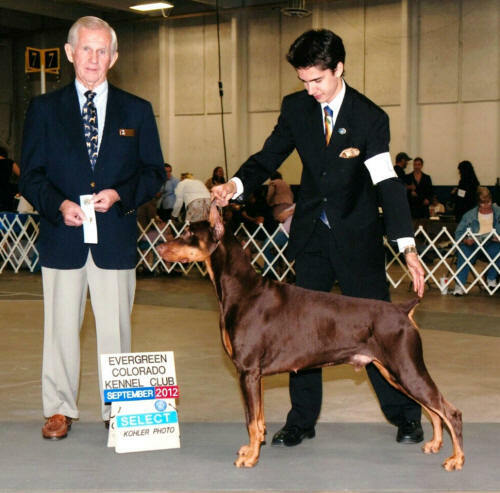 (as of 11-25-14) He was also the 1st Doberman to obtain the GCH title in Colorado (2011).